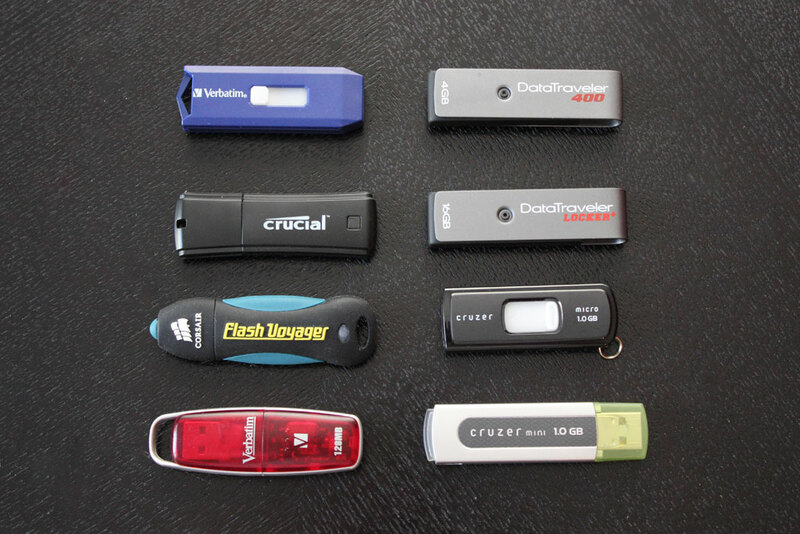 Home » Cloud & Online Services » The death of the USB flash drive R.I.P. Almost in parallel with the DVD the USB flash drive started to become something very common to see and very affordable, nowadays you can get a 64 GB flash drive for just USD 50. And you can store, delete and save again almost anything you want in it. The latest ones with USB 3 are very fast and it has been till now, the most preferred way to transport middle amount of data between places. Some people also use them as a backup media, although I don’t think is the best way to save things for backup on a USB flash drive, yes it better than nothing, but because it can get easily lost, so if you are using a flash drive to copy your stuff, make sure to keep it in a safe place. Also external hard drives which offer bigger amounts of storage for a friendlier price (1 TB for USD 70 aprox), are being used sometimes for backups, and to carry big amounts of information. Although some flash drives or pendrives (the bigger ones) will still be used for a while, the time of the smaller ones has come to a practical end.The “new” player is not a physical media like the ones till now, but a “virtual” media, its a service we cant touch, but we can hire and its very secure, the cloud. 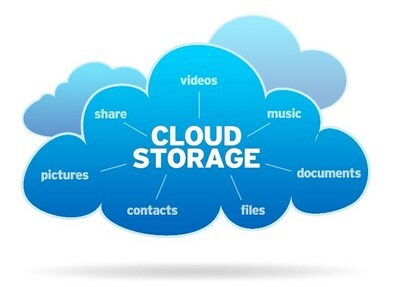 A Cloud storage provider is basically a service offered by a company that will store information for you, on their own infrastructure or third party providers they hire. Usually they offer a simple software for all your devices (computers and smartphones) that will allow you easily copy your files to their servers. Then you can access and share these files with whoever you want. Some services like Dropbox and Copy also offer real time synchronization, so whenever you add or modify a file it will automatically be copied online too, real time backup!. So no more “I forgot my USB key” or “I forgot to backup” with a cloud solution you are set, its automatic and you can access your files on the go from your smartphone too, you just need an internet connection. You might have read about a lot of different cloud storage providers, I´ve been reviewing lately several of them, in my crusade to find the perfect one. I still haven’t find it, but I think I am getting closer. You can also check out this Wikipedia post with a lot of providers that are available nowadays and with their specs (I don’t know if its really updated, but it will give you an idea of options). 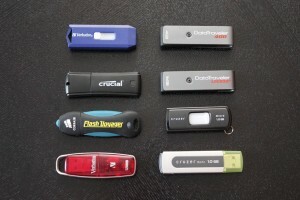 I stopped using flash drives and started to use: Dropbox, Copy & BitCasa as my cloud storage providers. Dropbox gives me up to 16 GB for free after a long run with referrals (they really need to improve this). Copy already gave me almost 1200 GB of free storage thanks to their great referral program. And BitCasa which is unlimited storage for USD 10 per month, I use it for things I want to keep only in the cloud (without occupying space in my local hard drives), and for a second copy of my backups (just in case, you never know :). I feel really comfortable how things are changing towards cloud storage solutions, its very practical, and you don’t have to remember backing up the “pictures” or “documents” folder each time, their applications will do it for you. My main concern is that all these storage providers should offer a way to encrypt all or at least part of your stuff (client side encryption) so nobody but you can ever access the information. – Copy: With this link you get 20 GB (instead of 15) of free storage. Then if you pass along your own link to your friends you can get 5 GB extra without limit on how much you can get, I already have more than 1 TB. – Dropbox: Has been delayed with the amount of storage you can earn, its limited to 16 GB and with this link you get 500 MB more on your free account, its my wife´s link by the way :). What about you? Which cloud storage service you like? I want to Know about box.com and hubik which offers 25gb for free. Copy works pretty much like Dropbox, BitCasa still needs adjustments…but its promising. I use spideroak, which you’ve mentioned elsewhere. I’m definitely going to check out bitcasa and copy!